From life ploughing the fields to satisfy a greedy sulking landlord to self-made men of the industrial revolution, from scratching a living from a few scruffy acres to squandering a fortune of as many whole farms, and from the Battlefield of Marston Moor to the Battle of Berlin, this is the story of the people of a corner of England over four hundred years. The plot pivots around one day in the year of 1841, then focuses on the lives of a handful of people and their descendants: Dull William, and his adventurous children who set sail for foreign shores or settled for wealth here on earth or in the afterlife; Sad Old Tom, and his brave children who battled against a cruel dictator or even more cruel mother nature; Honest John, and his wayward children who were haunted by their own inner dark demons; Skilful George, and his unlucky children who loved or lived at the wrong time; and Serious George, and the author's own parents. This is a social history of a rural then urban community as seen through the eyes of one family. 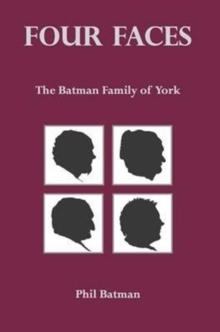 Professor Phil Batman is a retired pathologist who was born in York and has studied his own iconic surname there for 30 years.